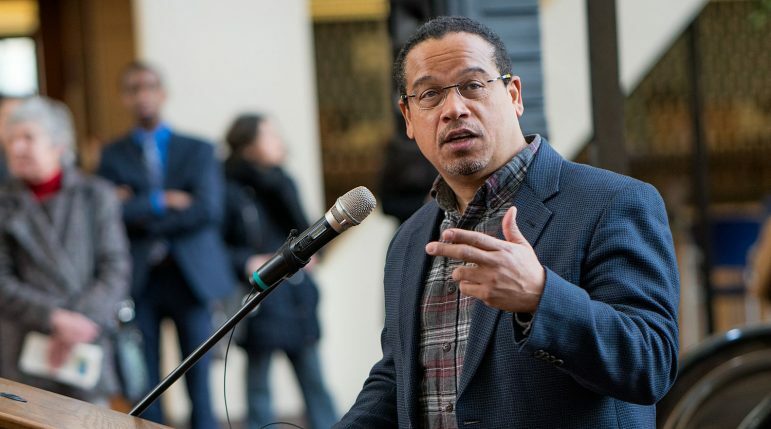 An investigation regarding alleged abuse claims by the ex-girlfriend of Minnesota Rep. Keith Ellison, who is now running to be Minnesota’s Attorney General, have been found to be “unsubstantiated.” Attorney Susan Ellingstad conducted the investigation into the claims. Ellingstad is a partner at the same Minnesota law firm as Charlie Nauen, the lead lawyer for Minnesota’s Democratic-Farmer-Labor party. A draft report investigating the claims of Karen Monahan, who dated Ellison for three years, was obtained by The Associated Press. Monahan’s claims first surfaced on August 11 via her son, Austin Aslim Monahan, on Facebook shortly before Ellison appeared on the ballot in the Minnesota primary on August 14. Ellison won the primary by a sizable margin. Ellison’s case has become a political football as right-wing media has been quick to amplify the story. In 2007, Ellison became the first member of the Muslim faith ever elected to the U.S. Congress. In 2017 he became Deputy Chair of the Democratic National Committee after losing a close race for Chair to former Obama DOJ official Tom Perez. Austin Monahan, followed by his mother Karen, asserted that video footage of the alleged incident in which he claimed his mother was dragged her off a bed by her feet by Ellison existed. To date, no video of such an incident has been made public. For various reasons since August 12, Karen Monahan has refused to provide the video to reporters after repeated requests. Ellison stated in August soon after the accusations were first made that no video would be found because no such incident ever took place. During an interview on a local TV show, Karen Monahan talks to host Ahmed Tharwat about the #MeToo movement but no physical abuse at the hands of anyone. The video has an upload date of December 2017 and Monahan currently has the video pinned to the top of her twitter account. Polls conducted for the Attorney General’s race show that Ellison is holding a slim lead.